No such thing as one size fits all! Our Retail Advisory Services team is centered around our clients’ needs, allowing us to deliver a complete range of services required to make sound real estate decisions. We have dedicated specialised teams in tenant representation, landlord representation, investment and retail. When you work with one of our teams, you will have access to a wealth of knowledge. In the retail industry your real estate decisions can mean the difference between success and failure. Colliers International is recognised as an industry leader in providing a broad range of retail advisory services to landlords, developers and retailers. With a team of experienced and dedicated retail leasing specialists, we work in partnership with your company to meet your goals. Our experts provide creative solutions to the challenging requirements for landlords/developers through market research, technology and intimate knowledge of the communities they serve. We designate a single point of contact for each client, aimed at ensuring that clients’ properties achieve the highest possible market rates to the most suitable quality of tenants. Colliers can assist owners to achieve their leading objectives by developing and implementing strategic leasing campaigns. Colliers' Retail Services experts understand that finding the right location, at the right time, plays a key role in building and strengthening your brand with specialised industry knowledge that leverages proprietary analytics to provide you with tailored recommendations to meet your specific needs, goals and timelines. Our Landlord Representation Services team can help you increase your property’s potential by understanding your unique space and delivering expertise on the market and the leasing techniques that will showcase your property’s best qualities. Our experts will position your property in a way that attracts and secures the right tenants for you. Here are answers to the top questions you might have about our Retail Advisory Services. 1. What do Colliers’ Retail Advisory services include? Our services include landlord representation, brand representation, creating a tenant mix based on target market requirements, valuations, assessment of tenant fit-out proposals and creating and maintaining indicative rental projections. 2. How will you secure the best tenant for my property? We have a vast database of quality local and international retailers which Colliers have built trusted relationships with over the years. 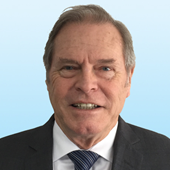 John, a British national, has over 30 years of property related experience and joined Colliers International in 1994 from one of South Africa's leading financial institutions as General Manager – Finance for the company's Property Management Division. In 1996, he was appointed as a Director to the company's main board with responsibility for the company's Property Management activities throughout Southern Africa. 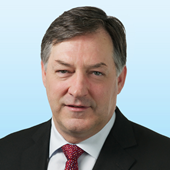 John was instrumental in Colliers International entering the Facilities Management arena across Southern Africa and in 1998 a new division of the company was formed with him assuming responsibility for both divisions as the Property & Facilities Management Director, prior to his appointment as Managing Director in 2000. In 2001, he transferred with Colliers International to the UAE to drive the growth of Colliers International’s business across the Middle East & North Africa region. Based in Dubai, John currently holds the position of regional CEO for the company which now operates 6 (six) regional offices offering a full range of professional real estate related services across the MENA region. John is a member of the Colliers International Europe, Middle East and Africa (EMEA) board, as well as Colliers International’s Global board. In addition to the above positions, John is also the board sponsor for the Colliers International EMEA Real Estate Management Services Group and a member of the Arabian Travel Market (ATM) Advisory Board. A confident, knowledgeable and internationally operating real estate and retail professional, who is a hardworking entrepreneurial manager pure sang and comes to you with a strong and proven track record in international real estate and retail. With a vast experience in the Middle East, the United States of America, Australia, Europe and Asia. Used to managing multicultural staff around the globe, managing large real estate portfolios, building departments and business from the ground up. Vast experience in international retail expansion, leasing and acquiring shopping mall and high-street properties, market research and forecasting i.e. indicative rental projections and indicative return on investment projections, optimizing real estate portfolios and increasing revenues. Patrick has over 30 years’ experience in the shopping centre and retail industry. He gained his experience in South Africa with Liberty Life Properties in various rolls over a 12 year period. With a Master Degree and Bachelor Degree in Civil Engineering I've started my career in Portugal as a business process analyst for the Portuguese Investment Bank, improving internal processes of the bank.